The Frugal Family Life: Walmart :: Disney Jake and the Never Land Pirates Ride On ONLY $29.00 (down from $79.00)!! Walmart :: Disney Jake and the Never Land Pirates Ride On ONLY $29.00 (down from $79.00)!! 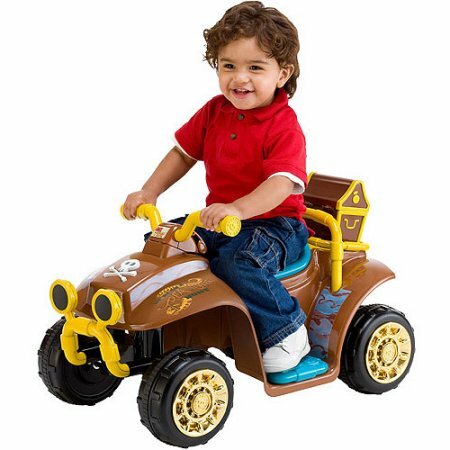 Hurry over to Walmart.com where you can find this adorable Disney Jake and the Never Land Pirates Battery Powered Ride-On Toy for ONLY $29.00 (down from $79.00)!! That's a super deal and would be a great gift idea for the little ones on your Christmas list! Make sure to choose in-store pick up, or pay $4.97 shipping on orders under $50. Free shipping with orders over $50!